A 10.5cm X 15cm 24 page full-colour and B&W zine with printed grey cover, front and back, and a pale pink spine. This zine features twelve postcard views of Port Said shown in original B&W state and as hand-coloured and collaged vista. 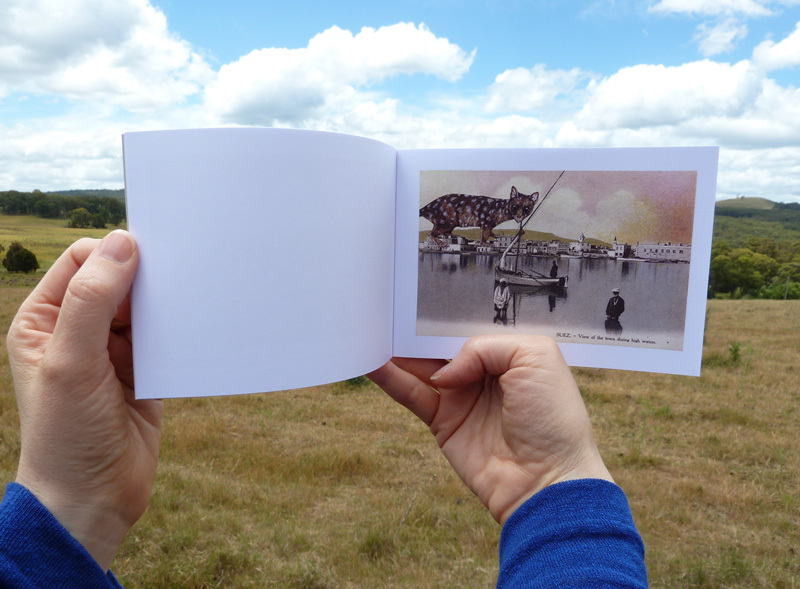 A before and after zine that is directly linked to the artists' book of the same name which was exhibited as part of Charms of the Gloaming (2012). We hope you find the 'new' view a pleasing one. An edition of Beneath the screen of closed eyelids has been exhibited as part of PAGE.PRINT.POST: 50 years of Artists Books (Post Office Gallery, Federation University Australia, 2014). Crack! Click! Snap! Beneath the screen of closed eyelids.